Cinco Ranch Rotary President Don Butler presents a check to Monica McDivitt, founder of Special Buddies. 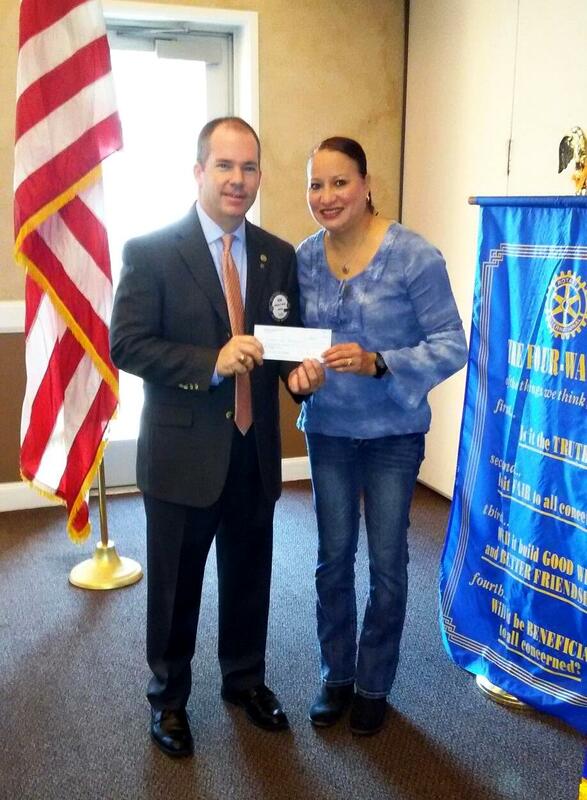 Special Buddies has been a beneficiary of the Cinco Ranch Rotary Camo 5K Fun Run for the past three years. Special Buddies is a program available in several Katy ISD elementary and junior high schools that pairs special needs students with general education students in an effort to encourage socialization and foster friendships. For more about Special Buddies, visit their Facebook page.